GRAMMY® Award-winner and music superstar, Ricky Martin, announced additional dates for the upcoming North American leg of his ONE WORLD TOUR in support of his brand new album, A Quien Quiera Escuchar, out now. The tour, promoted exclusively by Live Nation, will now take the acclaimed entertainer to 24 cities throughout the U.S. and Canada starting on Sept. 15 in Las Vegas, Nev. with shows already lined up in New York City, Los Angeles, Toronto, Washington D.C., Chicago, Miami and new dates added in Tucson, Montreal, Durham and Hidalgo. 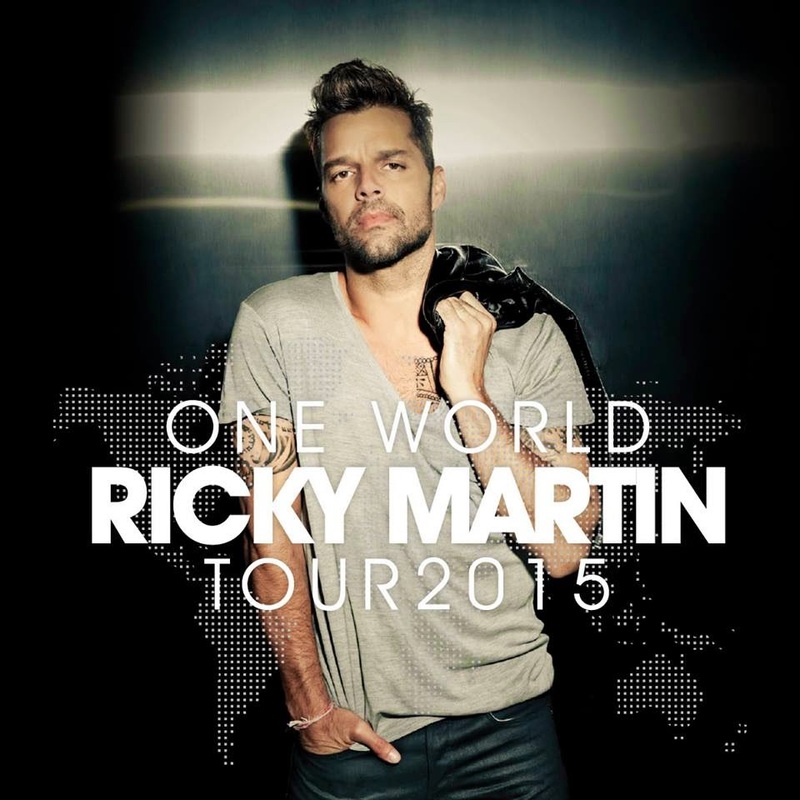 Ricky Martin will play the Durham Performing Arts Center on October 21. Tickets go on sale April 11 at www.livenation.com, via the Live Nation app, at the DPAC Durham box office, all Ticketmaster outlets, or by phone 800-745-3000. Ricky also recently debuted his brand new single, “Mr. Put It Down” featuring Pitbull. The song is the first release from his forthcoming English language album due out Fall 2015. To listen to “Mr. Put It Down” featuring Pitbull.